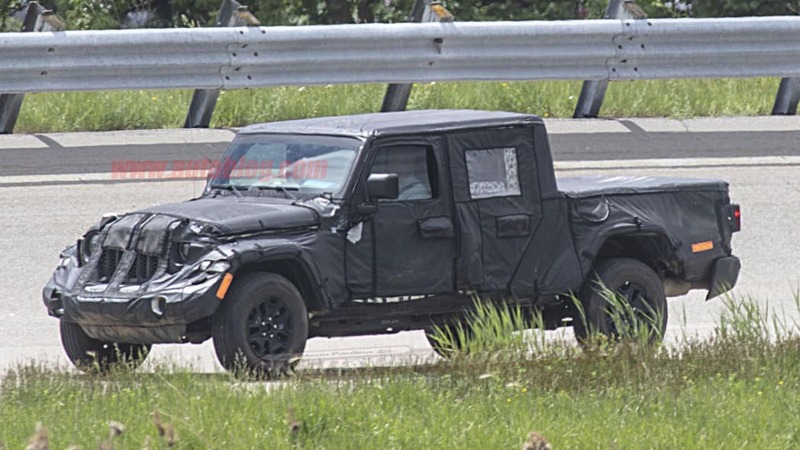 Several spy shots have come out that give us further insight into the new Jeep Wrangler Scrambler pickup truck. 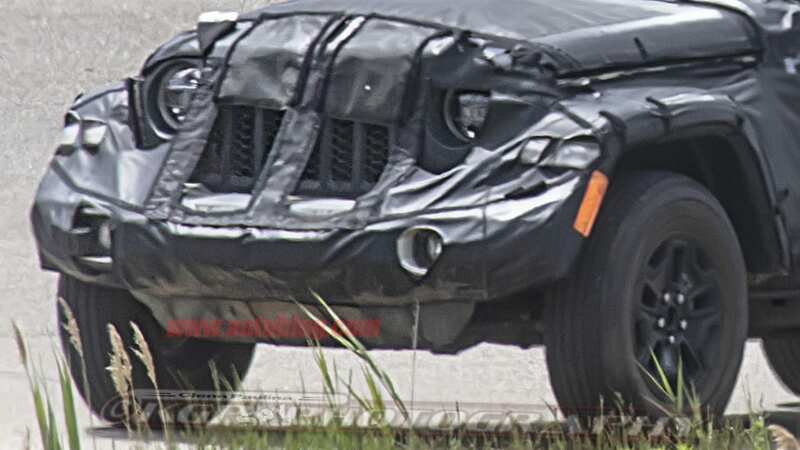 Among them are some photos of a prototype being driven near FCA test facilities. 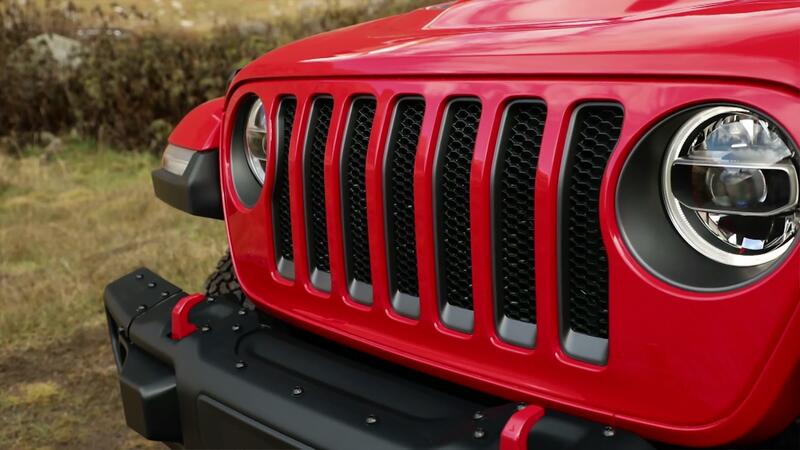 They show that the Wrangler will have LED headlights available similar to those on the SUV model, as well as the new Renegade revealed for Europe. 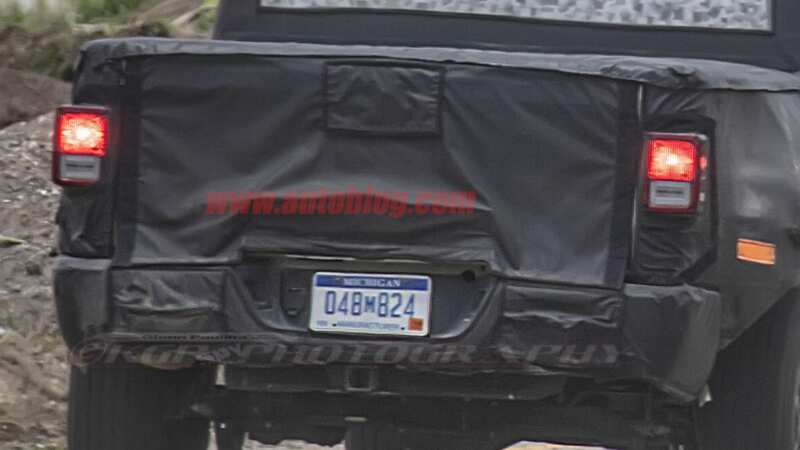 They also show the taillights of the pickup, though they appear to be units from a previous-generation JK Wrangler. 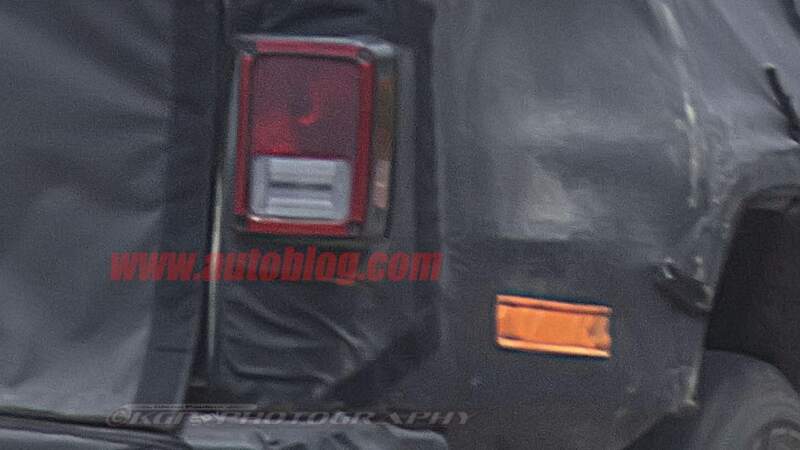 They're probably placeholders for the new model's lights. 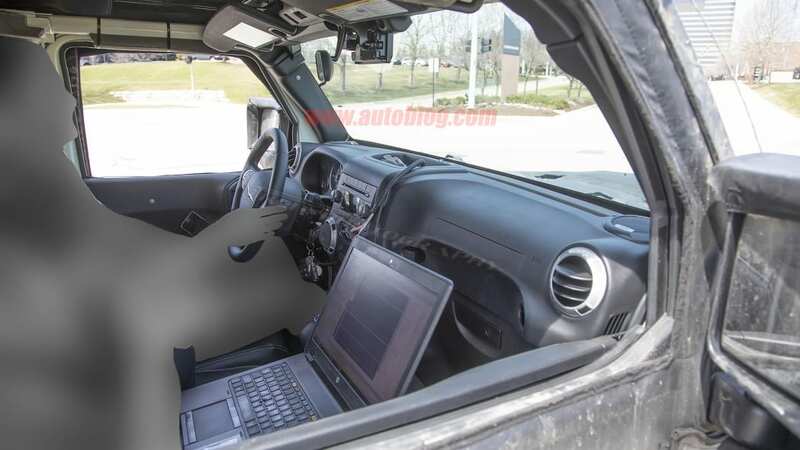 These photos also include images of the truck's interior. 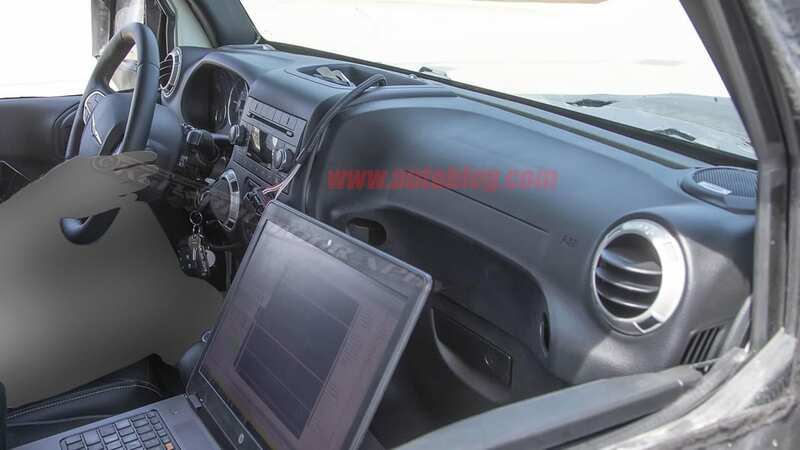 The dashboard is a mash-up of old pieces, including a JK Wrangler dash, and a Chrysler-badged steering wheel. 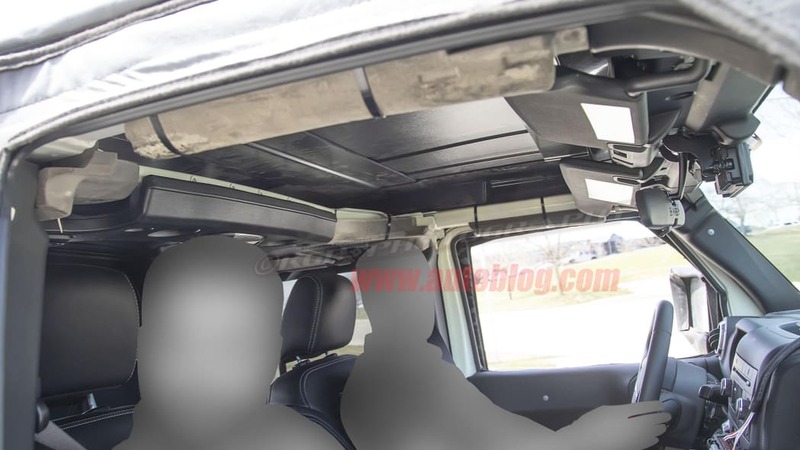 But the important part of these photos is that they show parts of a normal Wrangler SUV roll cage, and latches holding down roof panels. 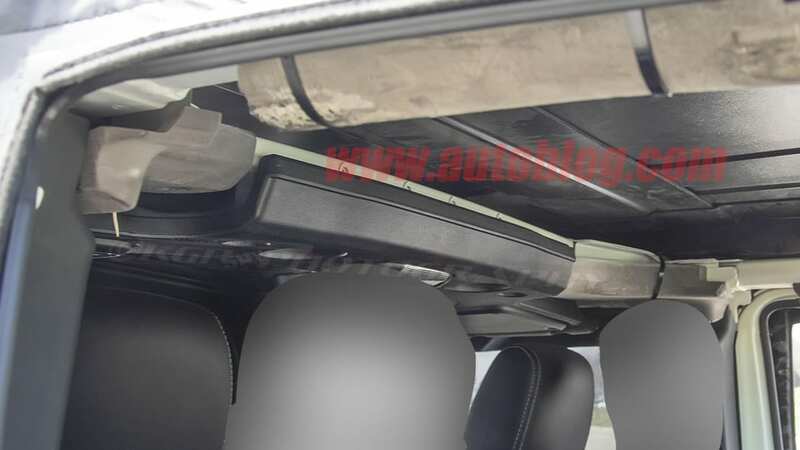 These are evidence that the production model will have a removable roof. 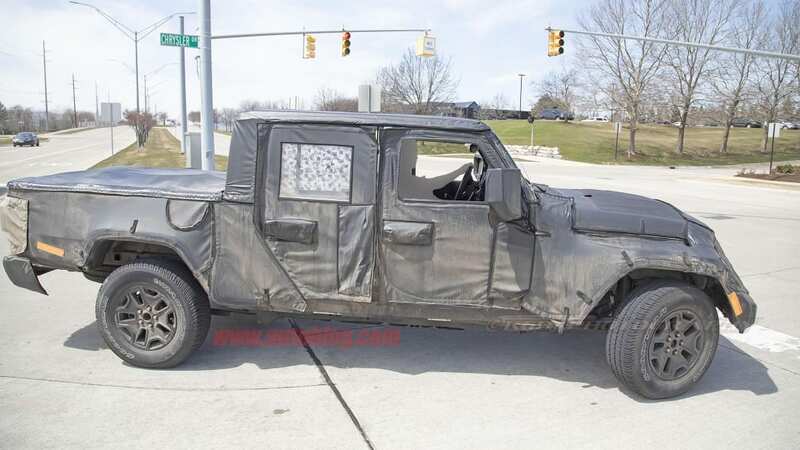 This body has the same style of roll cage as those found on the SUV versions of the Wrangler. 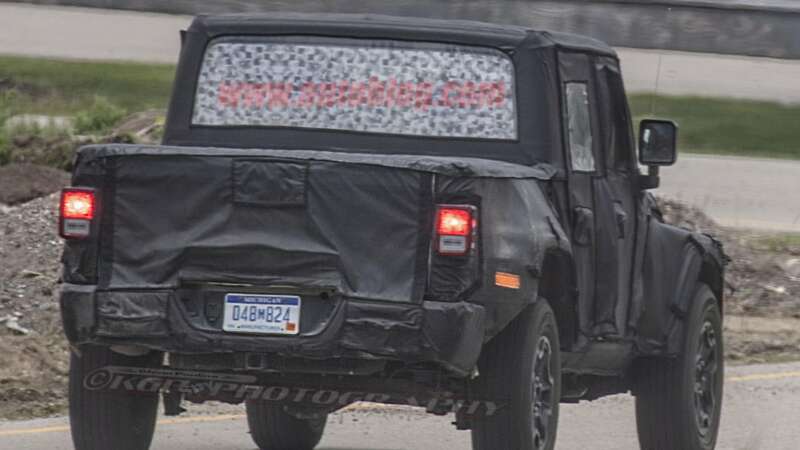 Specifically, it looks like a combination of the upright rear cage of the two-door, with the length of the Wrangler Unlimited's cage. 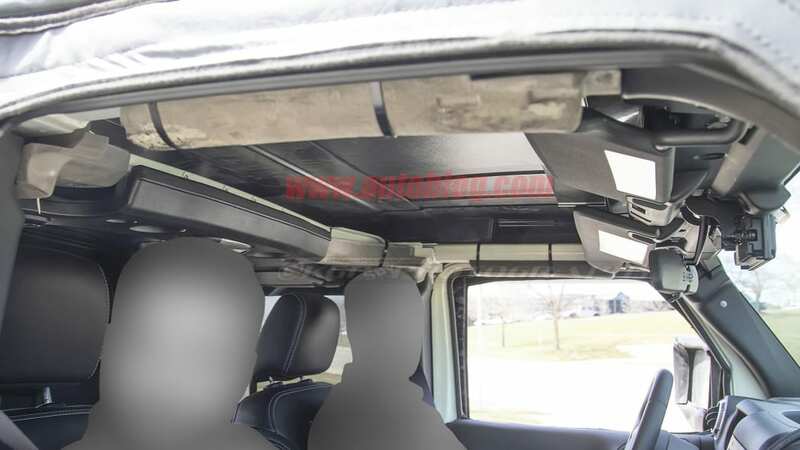 In addition to confirming the removable top, the windshield also appears to fold down, too. 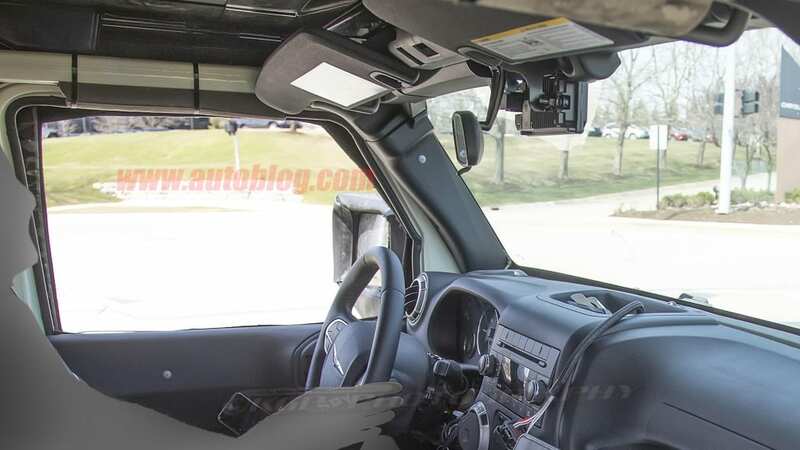 Beyond the confirmation of the top and windshield features, the rest of the cab looks almost identical to any other 2019 Wrangler Unlimited. 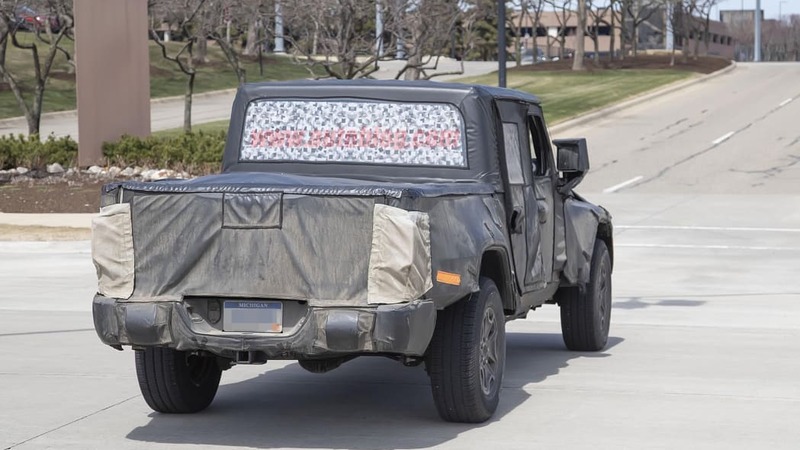 The fenders and hood are the same, down to the fender vents, as are the doors. 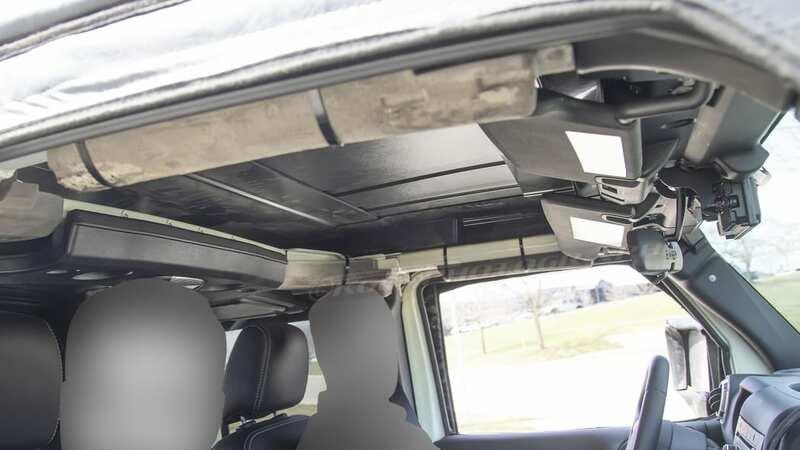 The cab shows that there was clearly room for full-size doors, which would have been welcome from an access perspective, but that would naturally cost more than already developed parts, It also means that any aftermarket doors or door accessories created for the Unlimited will work with the Scrambler. 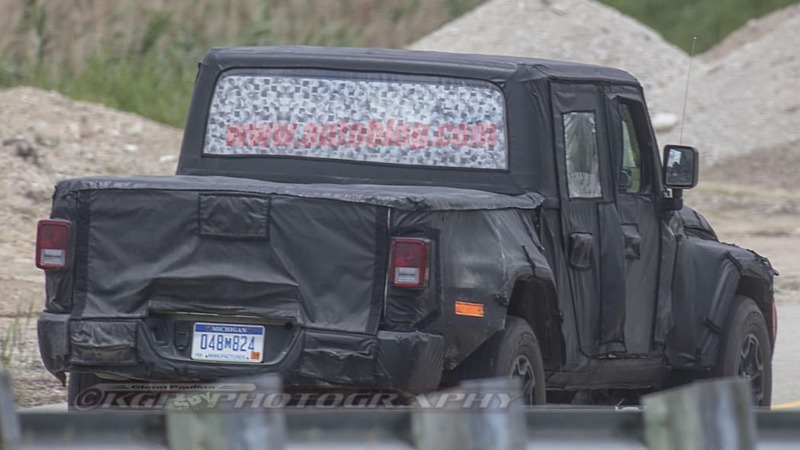 We can also see that there's a small diagonal indent in the cab where part of the rear fender will fit. 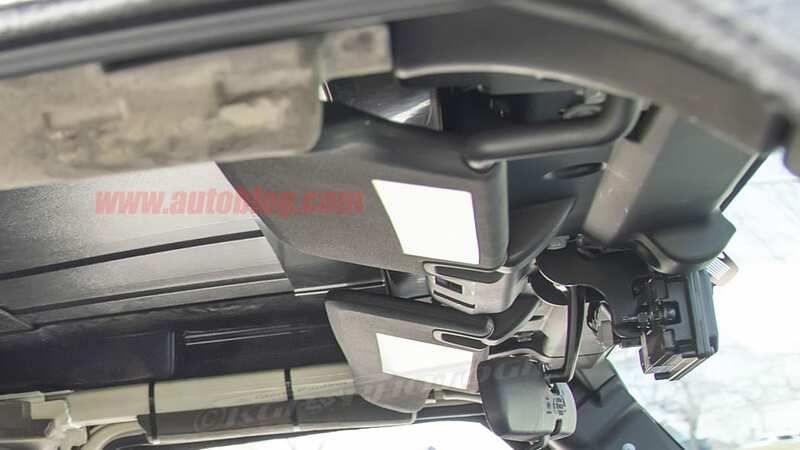 It also matches up with the line of the rear door. 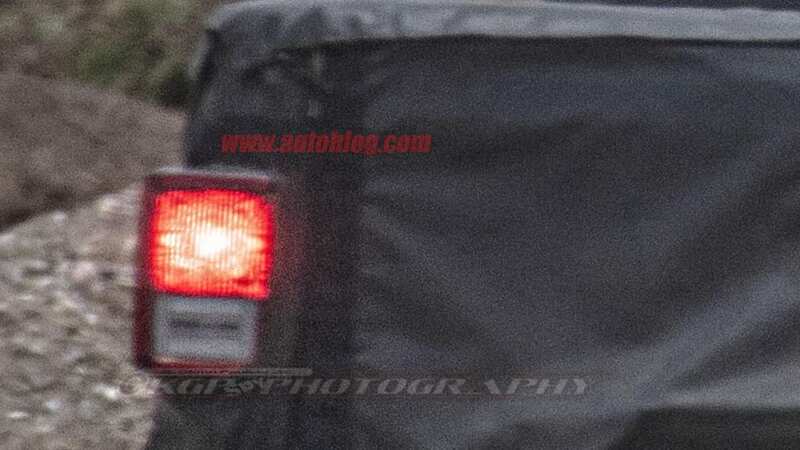 We still expect the Scrambler to be fully revealed either at the end of this year or the beginning of next, with the truck hitting dealers later in 2019. 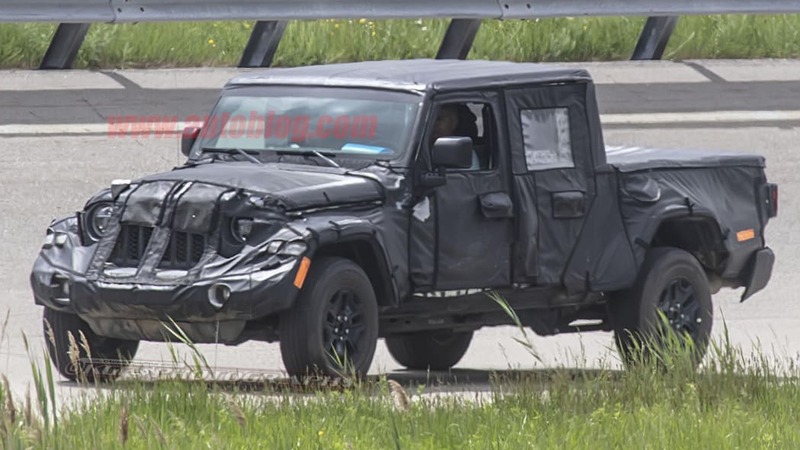 It will likely have the full complement of standard Wrangler engines including the naturally aspirated V6, turbocharged four-cylinder and a diesel V6. 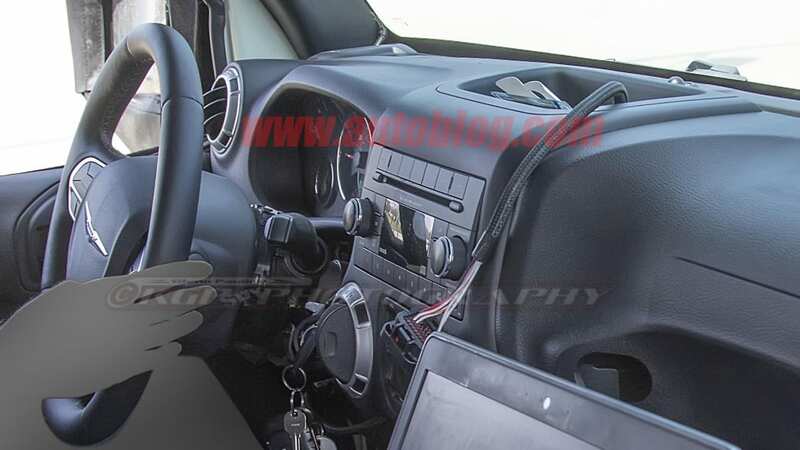 Both 6-speed manual and 8-speed automatic transmissions will probably be offered, though the manual will probably only come on the V6 as it does with the SUV version.